Medium Project 1, Photo 1 » Roger Perron Inc.
At this home in La Canada we completed a master bathroom remodel and kitchen remodel, as well as the complete exterior. 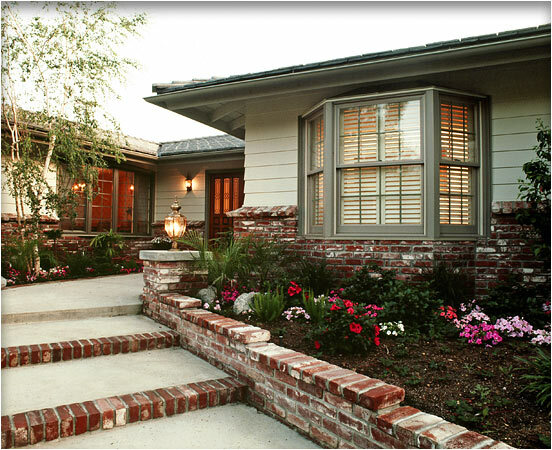 In this featured front façade, we installed used brick wainscot and wood siding. We also replaced the roof with a complementary fireproof roof product. New bay windows were added to enhance the look and feel inside and outside.